Superdry men's Technical SD-Windattacker Jacket. 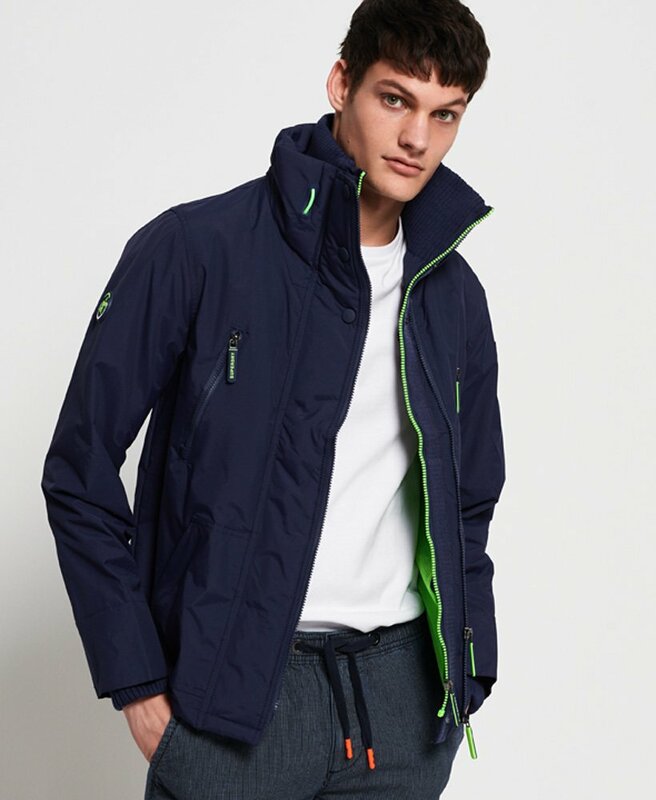 This jacket features a main double zip fastening with hook and loop and popper fastenings to help the draughts stay out. This jacket also features ribbed cuffs with thumbholes, bungee cord adjustable hem and collar, four zip fastened pockets and one inside popper fastened pocket. Finished with a textured Superdry logo on one sleeve and across the back.